Most employers understand the importance of choosing the right health insurance plan for their employees. However, with numerous options on the marketplace, it is not always easy to narrow down the best one for your unique needs and budget. 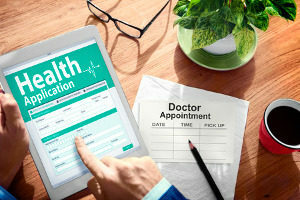 Two of the most popular types of health insurance include EPO and HMO plans. As both Exclusive Provider Organizations (EPOs) and Health Maintenance Organizations (HMOs) have their own set of pros and cons, you must carefully compare your options and consider what would best benefit your employees and business. In a race between EPO vs. HMO health insurance, there is no one winner. What Is EPO Health Insurance? Under an EPO plan, members are required to use hospitals and doctors within their own network. Much like a HMO plan, you cannot go outside of your plan’s network for care and you will not be covered if you choose to receive care from an out of network provider. One of the biggest advantages of an EPO plan is the lower cost. EPOs typically cost less than both HMOs and PPOs. Another major perk is that you do not have to get a referral from your primary care doctor to see a specialist. Most EPO health insurance plans cover basic medical treatments, as well as preventative care, long-term care, emergencies, and specialist treatment such as physical therapy and surgeries. EPO plans combine the flexibility of Preferred Provider Organization (PPO) plans with the more stringent regulations of HMOs at a price point that falls between the two. An EPO plan may be for you if you want the freedom to see specialists without a referral and if you do not mind sticking to healthcare providers in your network. With an HMO health insurance plan, members must receive their healthcare and medical services from hospitals, doctors, and specialists within the plan’s network. Before you can see a specialist, you may also need to get a referral from your primary care doctor. There are a few exceptions to their rule. Most HMO plans will cover out of network services if it falls under emergency care. HMOs may also cover out-of-area urgent care and out-of-area dialysis. You may be able to use out of network providers at a reduced price by choosing an HMO with a point-of-service (POS) option. There are a number of benefits of using HMO health insurance. In the majority of cases, prescription drugs are fully covered which allows you to get the medications you need at no cost to you. As many facilities take HMO insurance, you will likely have no problem finding a provider in your area to receive care. Some of the biggest downfalls of this insurance involve provider limitations. In addition to having to choose a designated primary care doctor, you will need to visit your primary provider each time you would like a referral to a specialist. EPO vs. HMO Health Insurance: Which Plan Is Best? While EPO and HMO health insurance plans have some similarities, they have even more differences. HMO insurance is often termed as an insured product, meaning that the insurance company will pay the cost of the claim if it meets all coverage guidelines. In comparison, EPO insurance is often termed as a self-insured product in which the employer pays the costs. Another major difference between the two relates to flexibility. EPOs are typically more flexible than HMOs, as HMOs have more strict rules regarding referrals and similar features. If you are considering your options in terms of cost for EPO vs. HMO health insurance, you will want to consider all aspects of pricing such as premiums and copays. EPO health insurance often has lower premiums than HMOs. However, HMOs have a bigger network of healthcare providers which more than makes up for it. You may also want to consider your location when choosing a health insurance plan. EPOs are better suited for rural areas than HMOs. If you loathe paperwork and making phone calls to the insurance company, you may want to avoid EPOs. Most EPO plans require pre-authorization of services. This means that you must get permission directly from the insurance company before acquiring various types of healthcare services. If you fail to get pre-authorization, you may be stuck paying the entire bill out-of-pocket. Pre-authorizations are put in place to ensure that you are only receiving services that are medically necessary. 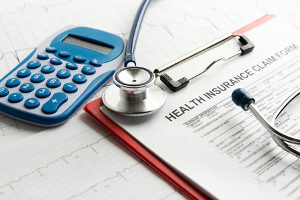 Comparing the EPO vs. HMO health insurance plans, features, and costs can be overwhelming. Fortunately, a qualified health insurance broker can help. The job of a health insurance broker is to provide clients with the most appropriate insurance plans based on their unique needs and budget. Health insurance brokers are authorized by certain insurance companies to offer policies on their behalf. The broker then provides advice and guides clients through the process of selecting a health insurance plan. A broker makes a living off the commissions made from sales. If you are in the market for a new health insurance plan, you need a health insurance broker to walk you through the process. Brokers make it easy to understand your options and can help you understand the ‘fine print’ and legal terminology related to each type of insurance. Your health insurance broker also acts as your advocate even after you enroll in a plan. Whether you need more coverage later on or you are ready to renew your plan, your broker can make the process quick and easy. To learn more about EPO vs. HMO health insurance, contact your local health insurance broker.